"A yummy mix of veggies, refried black beans, and easy homemade enchilada sauce! 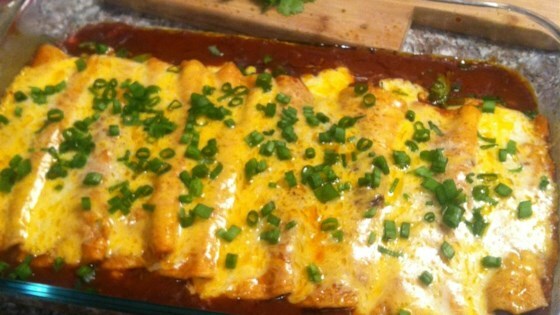 A tasty change from boring old bean 'n' cheese enchiladas." I substituted sliced jalapeno's for the chiles, and used a little more than 4oz to spice things up, everyone thought it was great! The enchiladas are VERY filling! !